What is the DPNA code and how does it help? Dubai: Travelling with a child on the autistic spectrum can be challenging. However, an Emirati parent documented his travel experience to raise awareness about a travel code that can make the process a little bit easier. 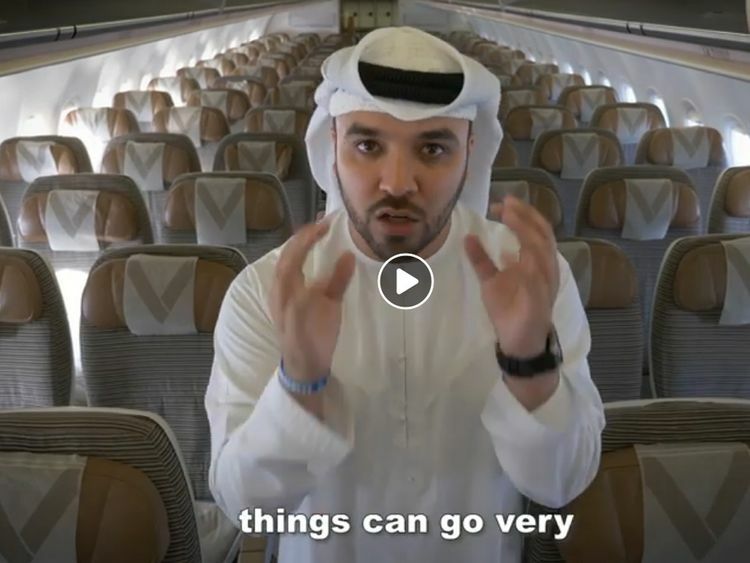 Khalid Al Ameri, an Emirati vlogger, posted a video ahead of the World Autism Awareness Day, sharing his experience travelling from UAE to Bahrain with his family of four. In the video, Al Ameri spoke about his son, Abdullah, who is on the autism spectrum, and how an international travel code made their experience memorable. The ticket code DPNA, which is for a passenger with developmental or intellectual disability, makes check-in, immigration, boarding and seating a lot easier by giving priority to families travelling with a child of determination. By documenting his experience, Al Ameri aimed to raise awareness about using the code to inform airlines about the passenger and ensuring that the person of determination is not unnecessarily stressed during the experience. The incidence of autism is at an estimated 1 in every 68 births globally, however, according to a 2017 report in Dubai the rate of incidence is 1 in every 146 births. The awareness about the DPNA code, however, is surprisingly low. In the video, Al Ameri mentioned that according to travel company Travelport, of the 250 million flights it booked last year, the code was used only 4,000 times. “The solution exists. What needs to happen is we all need to be responsible in raising awareness about it,” he added. The comments under the video, which has been shared thousands of times since it was posted this morning, reflected a similar trend. While April 2 is Autism Awareness Day, the entire month of April is marked as World Autism Month and several intiatives are planned globally to raise awareness about people on the autism spectrum.